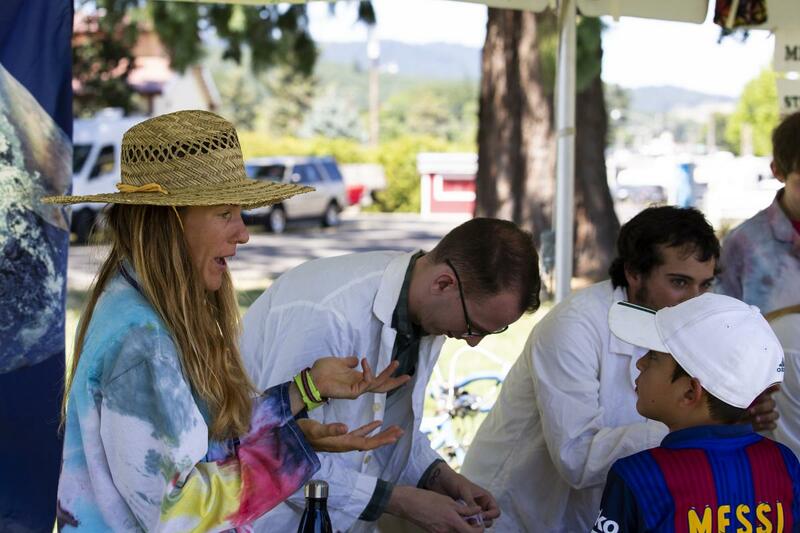 Benton County Fairgrounds - Last weekend, the Microbiology Department joined with OSU's College of Science for a full day of community outreach during the 2018 DaVinci Days in Corvallis, OR. 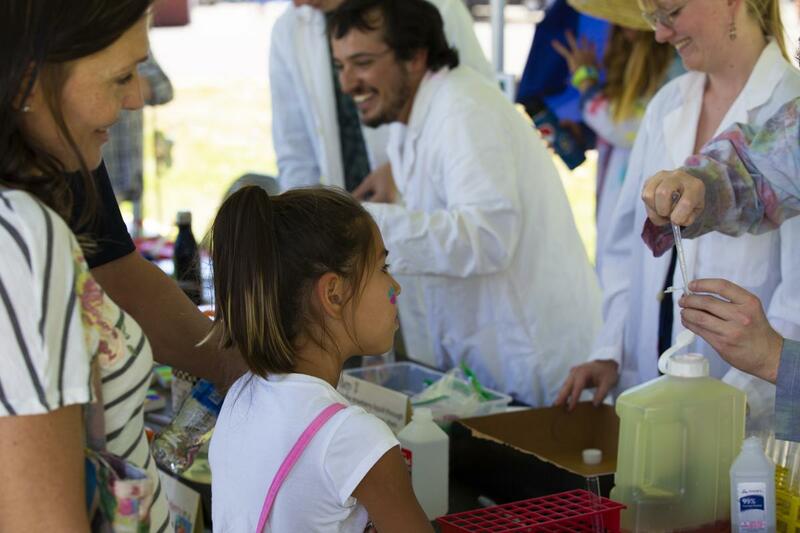 Thirteen life science student volunteers and several supporting labs pooled their efforts to bring interactive microbiology to festival-goers young and old. 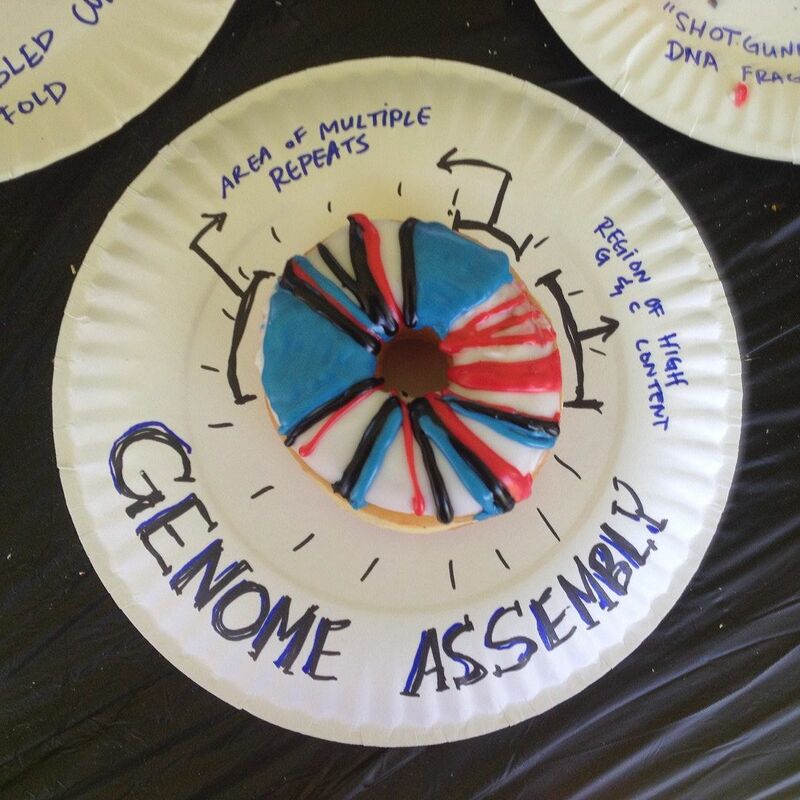 Parasites were tossed, DNA was extracted from strawberries (and made into jewelry) and donut genomes were assembled. Community members tested their microbiology knowledge with a trivia wheel, and examined diatoms, fish pathogens and many other tiny wonders under microscopes. 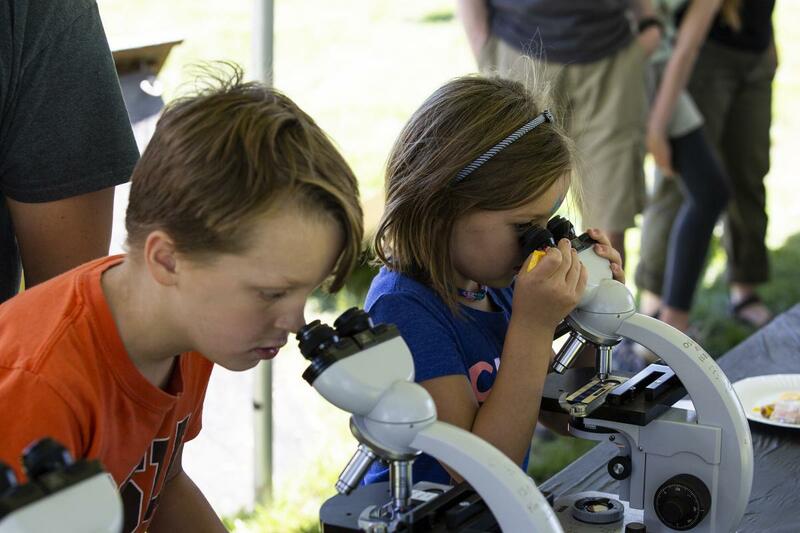 The joys of science, technology, and microscopy were explored by hundreds on a wonderful afternoon in Corvallis. Founded in 1989, DaVinci Days is a weekend-long festival promoting engagement, creativity and innovation with STEM fields. We are looking forward to another fun-filled event next year. Thank you to the Aquatic Animal Health Lab, the GeoMicro Group and the Microbiology Graduate Student Association for the generous donation of activities. 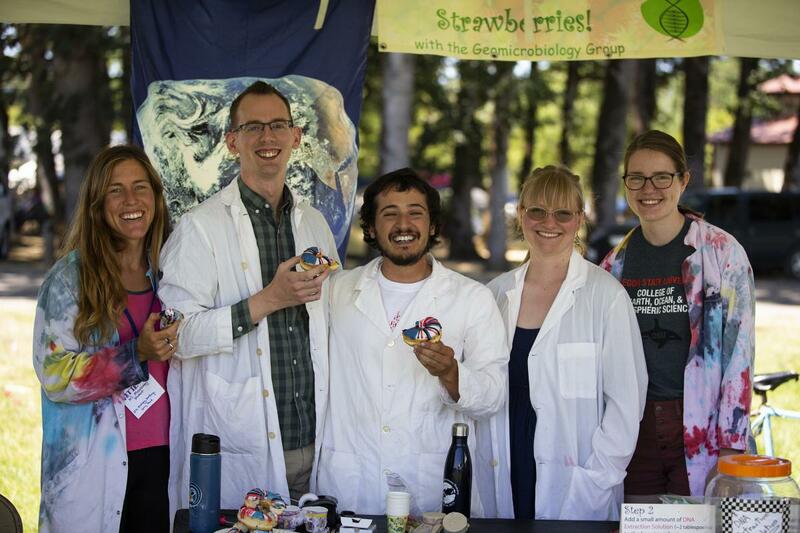 If you are interested in volunteering in future Microbiology Graduate Student Association events and/or have ideas for spreading OSU Microbiology to the masses, contact Katie McConnell (mcconnka@oregonstate.edu) and Ben Americus (americub@oregonstate.edu).